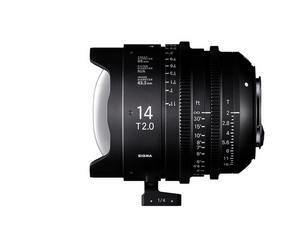 RONKONKOMA, NY--(Marketwired - Jul 14, 2017) - Sigma Corporation of America, a leading still photo and cinema lens, camera, flash and accessory manufacturer, today announced the availability of two brand new cine lenses: the Sigma 14mm T2 FF and 135mm T2 FF, which will both begin shipping late July 2017. Compatible with full-frame image sensors, these high-speed cine prime lenses are available for EF, E and PL mounts. They are available as individual lenses for a retail price of $4,999.00 USD each, or as part of two and seven lens sets for retail prices of $10,499.00 USD and $24,799.00 USD respectively. The Sigma 14mm T2 FF Cine Prime lens is the world's first and only to offer an incredibly fast T2 at this ultra-wide angle focal length for full frame sensors. Bringing remarkable optical performance to the art of capturing moving images, the Sigma 14mm T2 offers cinematographers the opportunity for robust cinematic expression. 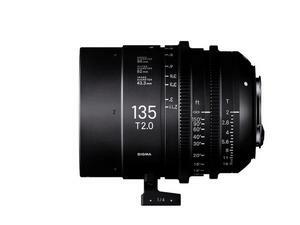 The Sigma 135mm T2 FF Cine Prime offers astonishing rendering performance unmatched by almost any lens on the market. Retaining the optical performance of Sigma's original Art lens for the still photographer, this exceptional lens enables cinematographers to enjoy the highest image quality for shooting movies.